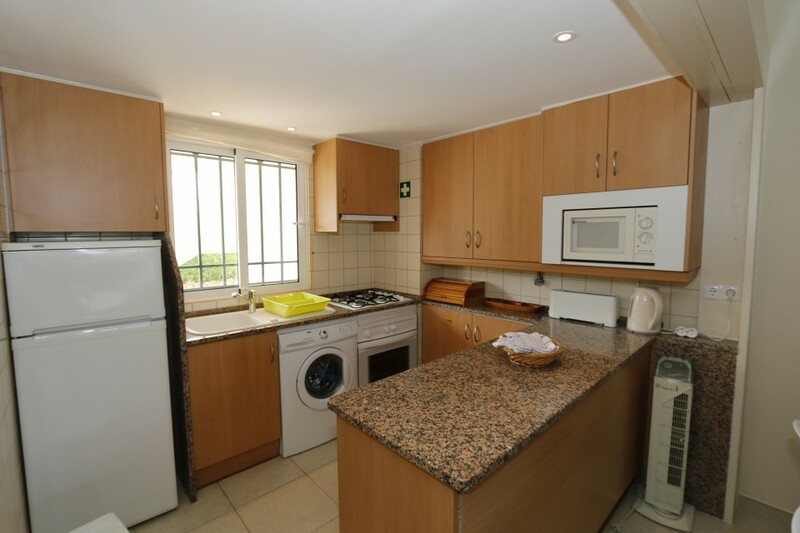 is an open plan kitchen with all the usual ammenities (oven, hob, kettle, toaster, microwave, washing machine, cutlery and crockery). 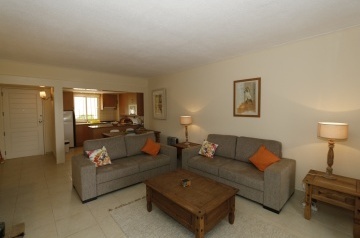 This property has two bedrooms, one with a double bed, the other with two single beds. 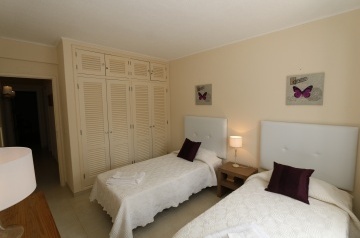 Both have built in wardrobes. 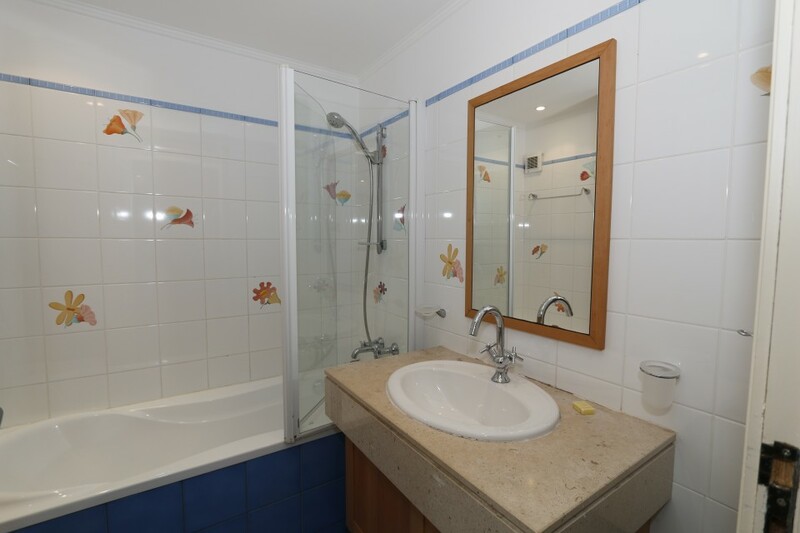 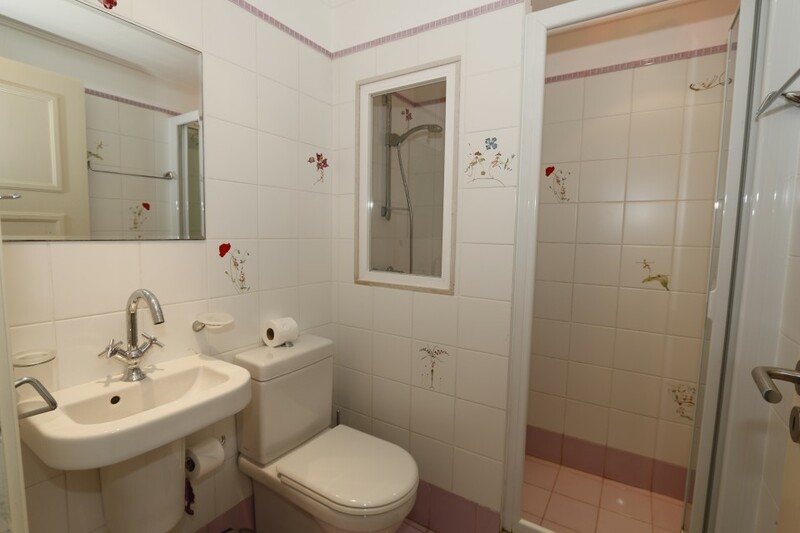 There are two bathrooms, one is a smalller shower room with a a lavatory and also a basin with a mirror, the other has a combination bath and shower, a lavatory and also a basin with a mirror. 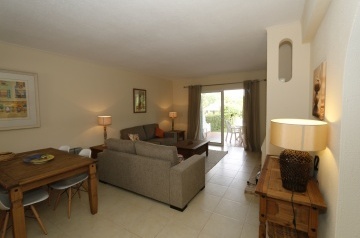 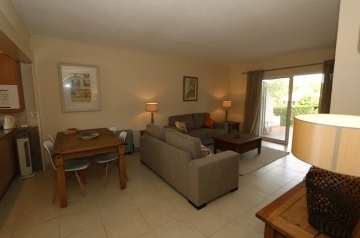 Off the living room there is a large sliding door onto a patio garden which overlooks one of the pools and gardens. On the patio there is a table and chairs for dining outside. This apartmetn does not have air conditioning as it is a naturally cool one, however, fans are provided if air movement is required. 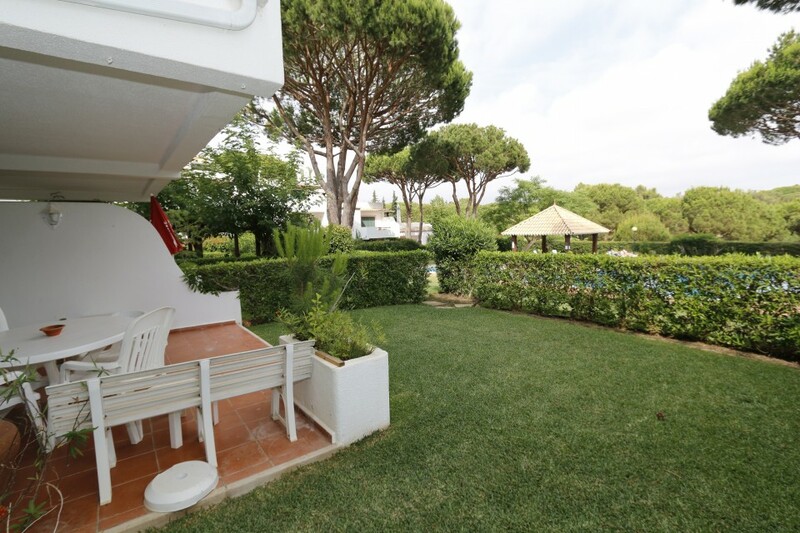 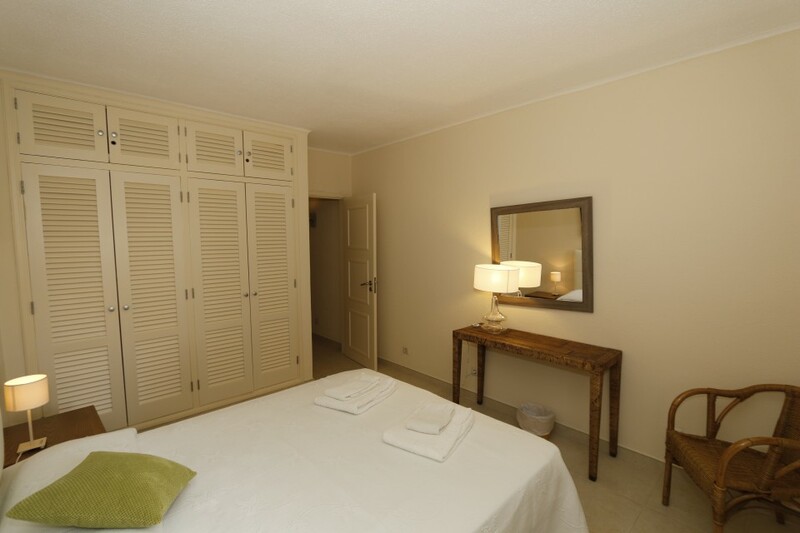 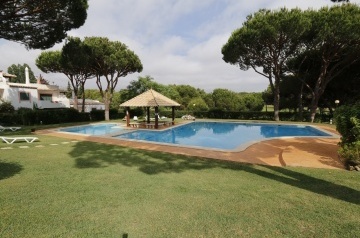 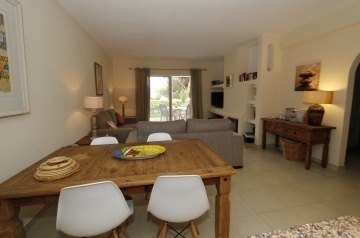 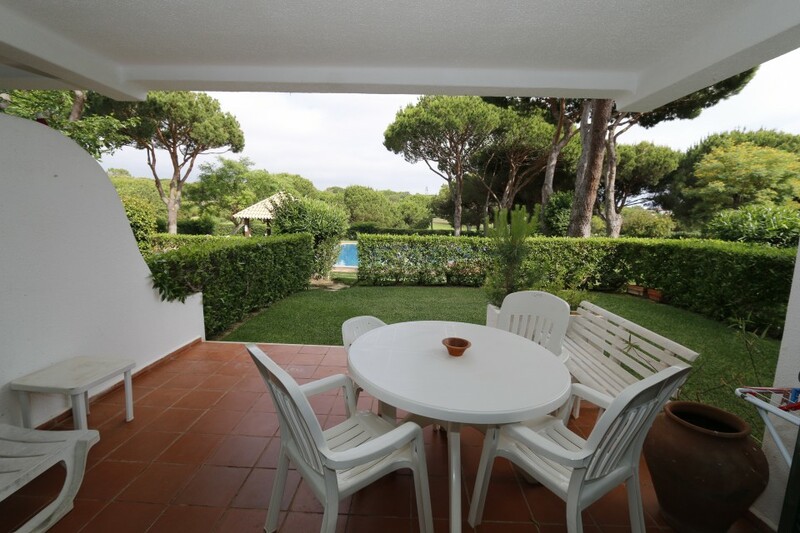 Solar Do Golfe sits opposite the The Old Village and is nestled in the centre of the Pinhal Golf Course in Vilamoura. There are wonderfully kept gardens with two swimming pools. 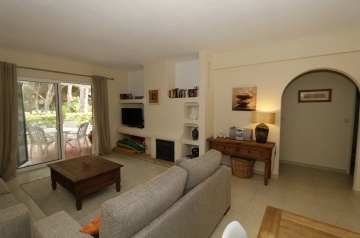 Over the road you have access to bars, restaurants, an ATM and a small supermarket in The Old Village complex. 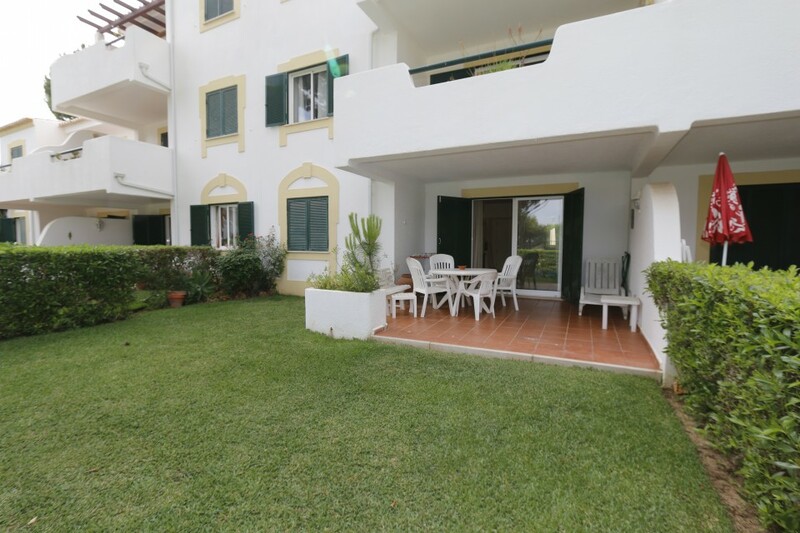 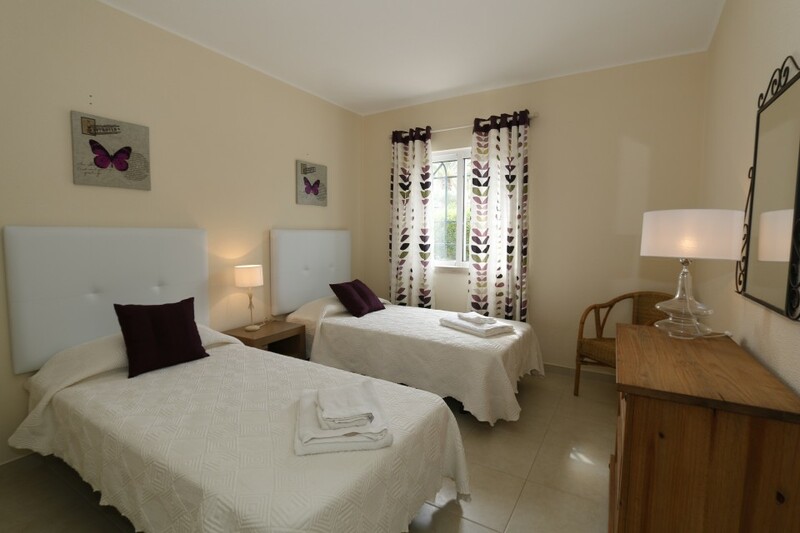 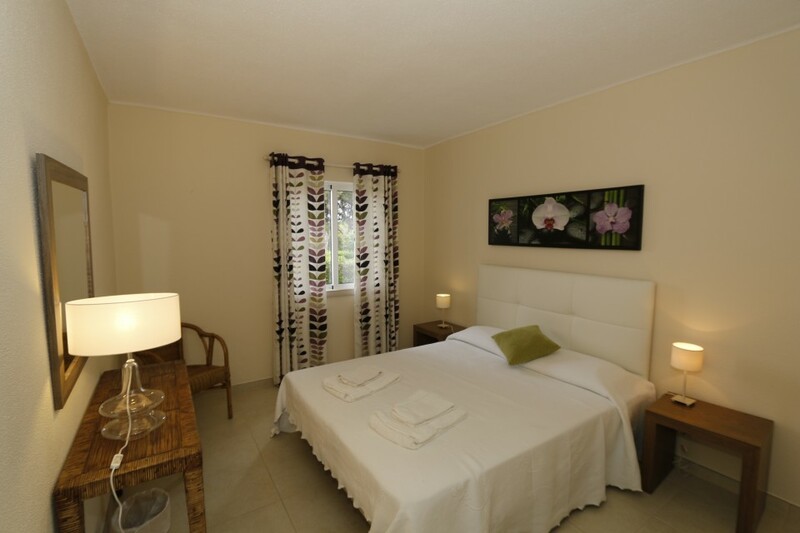 This complex is very quiet and relaxing and is within walking distance of other amenities, including tennis (14 courts), a church, a Medical Centre, restaurants, bars, night clubs and disco, a casino, supermarkets, shops, banks, a post office, the marina and the magnificent EEC blue flag Falesia beach which stretches for miles. 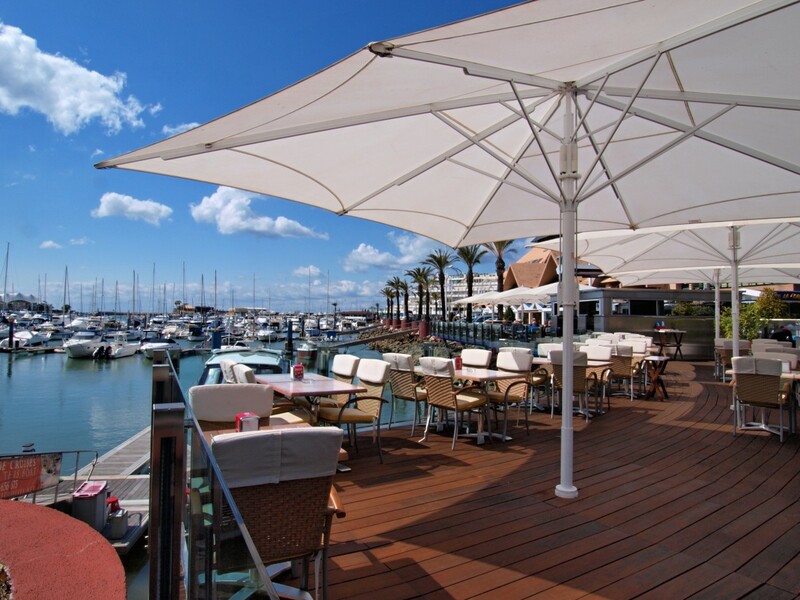 If you don&apos;t feel like walking, then there is a regular tourist shuttle train that stops outside the Old Village and runs round the main parts of Vilamoura. 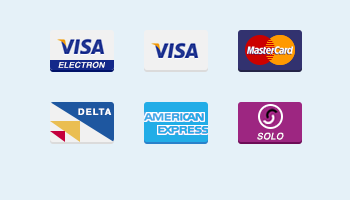 There is also a paid for shuttle service available in the Old Village.